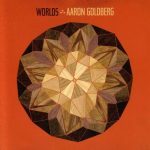 Aaron Goldberg is one of my favorite jazz pianists. He’s also an old friend from high school. Reconnecting with and talking to him about his career and artistic process has been one of the most personally inspiring interviews I’ve done to date. And here’s the thing about Aaron: He’s a force unto himself. While at Harvard, he jammed at the Berklee College of Music until the small hours of the night. And while touring the world with leaders like Joshua Redman or Kurt Rosenwinkle, Aaron completed a Masters of Philosophy under Daniel Dennett. In other words, Aaron is a true polymath. And that’s the other thing about Aaron’s music: for me, it transcends genre. When I listen, I’m not conscious of it as jazz. I’m drawn in and carried by Aaron’s love of good melody and infectious rhythmic drive. 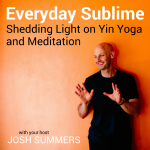 And you can hear all of that that in the song, “Lambada de Serpente,” that Aaron shared with me for my podcast, Everyday Sublime. I offer some more reflections on Aaron’s work in an episode of my podcast. I hope you enjoy it, and I invite you to subscribe here.